3 ADDL YR SVC; EXTENDED ON-SITE SERVICE FOR TOTAL OF 4 YRS WHEN COMBINED WITH ANY 1 YR WARRANTY. APPLICABLE DURING 1ST 90 DAYS Of PRODUCT OWNERSHIP FOR THE PHASER 8580. ELECTRONIC SERVICE AGREEMENT. Extended On-Site Service For Total Of 5 Yrs On-Site Service When Combined With Any 1 Yr Warranty. Applicable During 1st 90 Days Of Product Ownership. Electronic Service Agreement For Major Accounts Only. 2 ADDL YR SVC; EXTENDED ON-SITE SERVICE FOR TOTAL OF 3 YRS WHEN COMBINED WITH ANY 1 YR WARRANTY. APPLICABLE DURING 1ST 90 DAYS Of PRODUCT OWNERSHIP FOR THE PHASER 8580. ELECTRONIC SERVICE AGREEMENT. 4 Addl Yr Svc; Extended On-Site Service For Total Of 5 Yrs On-Site Service When Combined With Any 1 Yr Warranty. Applicable During 1st 90 Days Of Product Ownership For The Cq 8700. Electronic Service Agreement. 2 Addl Yr Svc; Extended On-Site Service For Total Of 3 Yrs When Combined With Any 1 Yr Warranty During 1st 90 Days Of Product Ownership For The Cq 8700. Electronic Service Agreement. 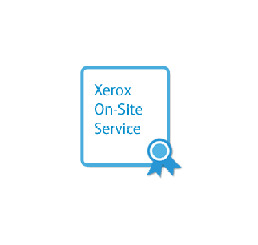 1 Yr. Service; Annual On-Site Service, Available On An Annual Basis For The Cq 8700. Electronic Service Agreement. 3 Addl Yr Svc; Extended On-Site Service For Total Of 4 Yrs When Combined With Any 1 Yr Warranty During 1st 90 Days Of Product Ownership For The Cq 8700. Electronic Service Agreement. 3 Addl Yr Svc; Extended On-Site Service For Total Of 4 Yrs When Combined With Any 1 Yr Warranty. Applicable During 1st 90 Days Of Product Ownership For The Phaser 8870. Electronic Service Agreement.